Whether your family comes together in the kitchen to cook dinner or explores new books before bedtime, the opportunity for quality bonding and growth is the reward. 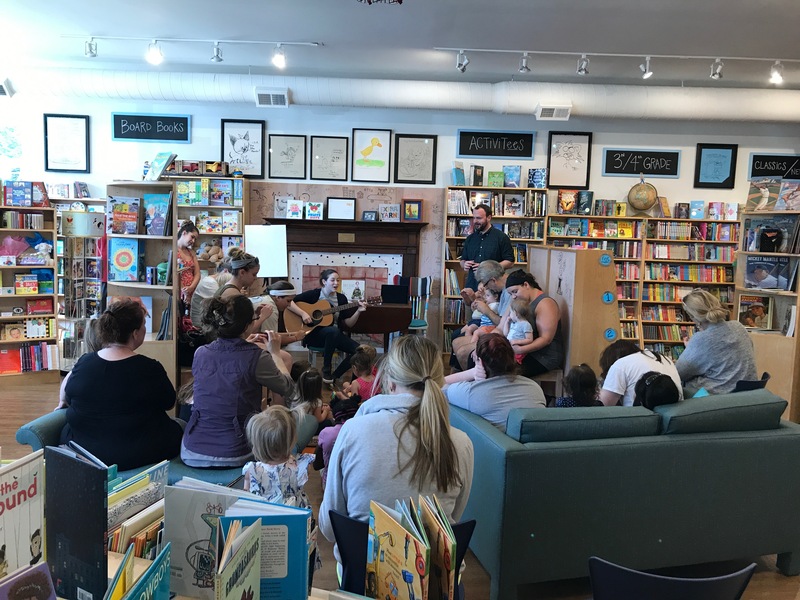 If you are looking for tales that show empathy and teach your children how to get through tough times, Blue Manatee Children’s Bookstore has a perfect fit for you. Each story provides key lessons with subtlety and humor. In this story, Sara Bella has a hard time focusing. She has a head full of ideas, but is struggling in school. So her teacher assigns her a project of creating a thinking cap. This book is great for daydreamers, creatives or any kid that has a hard time paying attention in school. Written as an ode to his wife, Santat twists the classic nursery rhyme “Humpty Dumpty” by telling the tale of how Humpty faces his greatest fear—heights. With quiet determination and a beautiful ending, this book will teach your children about courage and motivation. Local illustrator Loren Long pairs up with Newberry-winning author Matt De La Pena to create a beautiful, moving story about life’s greatest affection. No matter who you are or where you are, love is all around. Available January 9, 2018. This Blue Manatee Press original tells a story about tucking each planet into bed at night. Even Pluto! With additional space facts and humorous illustrations, this bedtime rhyme will fill your little one’s dreams with spinning planets, sleepy moons and starry night-lights. This book is perfect for future astronauts and all children who dream far and wide. This is a story of a mighty little snow plow who shows determination and grit in the toughest of blizzards. Perfect for the winter season, this story fits in among classic vehicle books such as “Mike Mulligan’s Steam Shovel” and “Katie and the Big Snow.” It will inspire your child to overcome doubt, dream big and persist! Laura’s Lean Beef encourages each of you to grab your loved ones, one of these books and gather around the dinner table. Nourish your mind and body.